The snow has come again and for many of us life slows down and we enjoy the comforts of being indoors. Perhaps now we can relax after the busy holiday season, and/or catch up on some old project we had cast off for such a day. 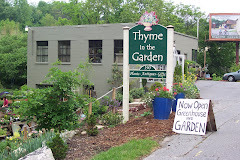 For many gardeners, winter is the time to plan for the growing season ahead, to go through our supplies of seeds, and seed catalogs, to get tempted with all sorts of new varieties or maybe we look back to the good ole tried and true. 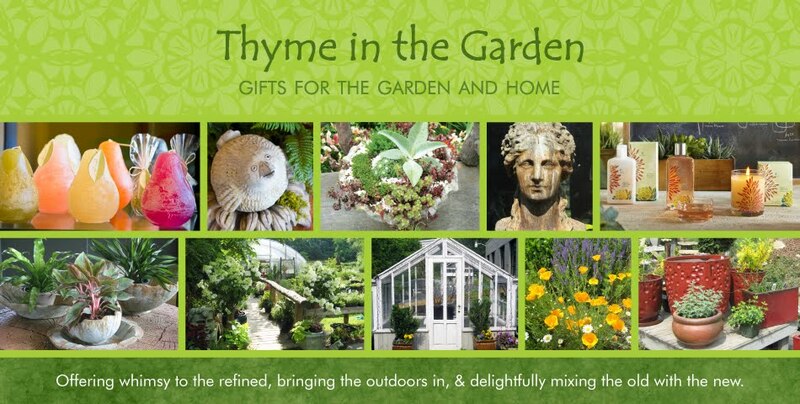 In the quietness of Winter, it is common to want a little reminder that Spring will come again, and lead us into the wonder of watching our garden grow. 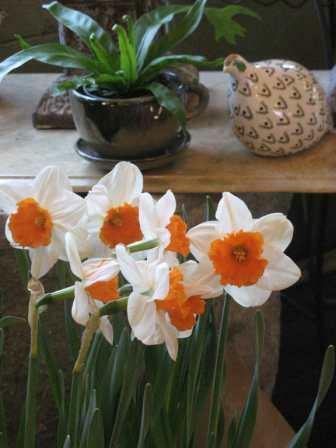 In January and early Febuary it is delightful to have a continuous supply of bulbs to force. We watch them begin their push toward warmth and light, then stretch and open to bloom and scent our cozy living spaces. Perhaps we've enjoyed the brilliant reds and dark greens from our poinsettia and red lion amaryllis, and now we're ready for something softer, lighter, more reflective. 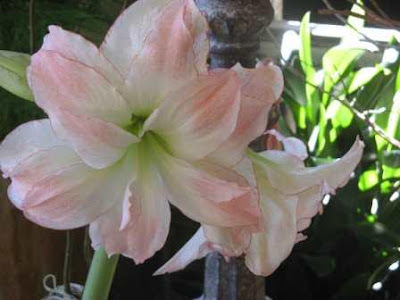 Amaryllis are just as elegant in white, lemon star, and apple blossom, and those colors offer a quiet beauty somehow appropriate for middle of winter. 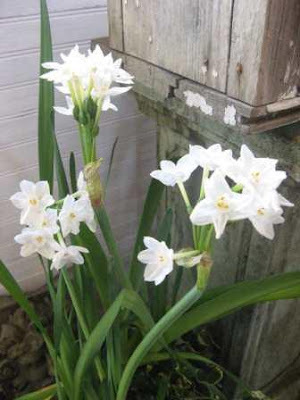 Of course, paperwhites are well known for their scent and long stems. 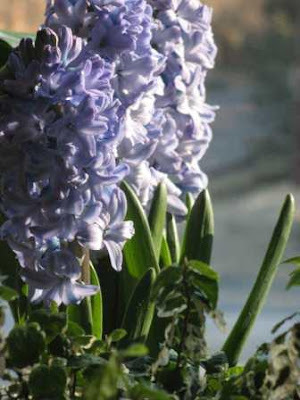 Hyacinths are also highly scented, but it is a scent enjoyed more commonly than paperwhites. Hyacinths are more stalky, and don't grow so high as paperwhites, which makes them a little more versitle for which container you can force them in. All these bulbs can be forced in a vase with just pebbles and water. Make sure the bulb itself is not sitting in water, just the roots. If the roots have not started growing, let the water just touch the root line of the bulb and be patient. In a warm room, the bulbs will start to grow usually in a matter of a couple weeks. Have fun experimenting with different vases and objects around your home to force bulbs in. An old medicine jar, your child's first ceramic pot, the pewter cup your grandmother gave you, an old teapot, etc. Forcing bulbs can be one way to refresh your home after the holidays, and savor the simplicity of watching something grow.